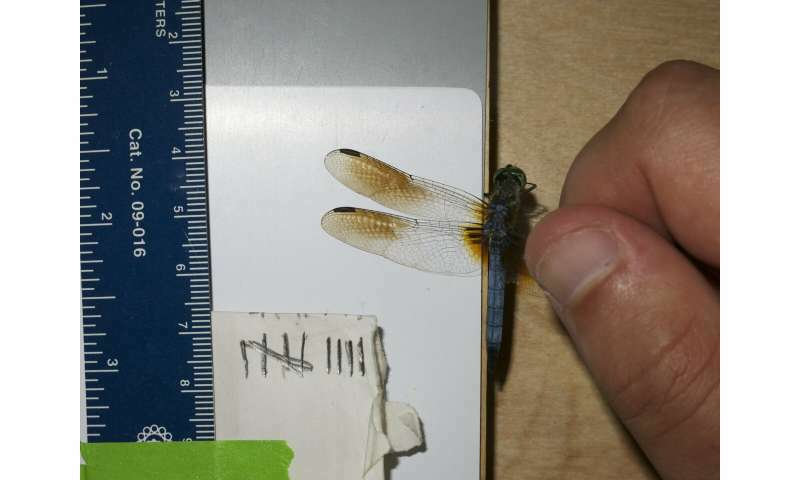 "People have long been aware of variation in dragonfly wing color, but what we are showing in this new work is an overlooked environmental factor—how temperature affects coloration," Martin said. "This could turn out to also determine some of the really cool extravagant traits we like to look at, such as coloration in birds." "I went through 600 pictures from the couch to begin this research," said Moore with a laugh. "After that, it was just mapping it with the corresponding environmental and weather data. It turns out that males in the hottest parts of North America have way less colorful wings, and we wanted to know why. " Across a series of experiments, they then marked each male's body with a series of colors for individual identification at the pond, colored some of their wings with a dark marker, and put the different groups through a weightlifting test to measure their strength. 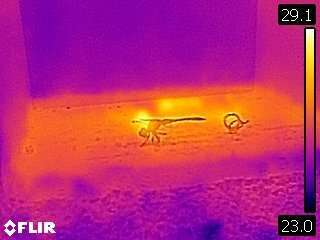 "Further tests, however, showed that, when temperatures were too hot, darker wings caused the dragonflies to overheat and fly poorly," Moore said. "These findings suggest that this poor flight would then cause those overheated males to lose the territorial battles and their mates, which in turn could be why males in the warmest parts of North America have adapted to produce less colorful wings." The dragonfly observations could help scientists explain how similar traits have evolved across the animal kingdom globally. "We know, for example, that male lions with dark manes tend to overheat more, which translated into how mane size and darkness have evolved across Africa and Asia," Moore said, citing previous scientific research. "And if it's happening in dragonflies and lions, two species separated by hundreds of millions years of evolution, it's seems possible that it could be a pretty common pattern." Dragonflies with dark coloring—and other animals—could begin to overheat as global temperatures continue to rise if they can't adapt quickly enough, or if they do adapt, might do so by losing their distinctive colors. 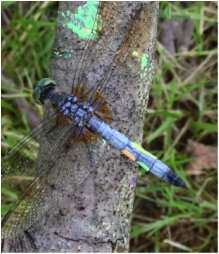 Because different dragonfly species, like many animal species, mate based on appearance, adaptation to rising global temperatures could lead to more interbreeding because of the confusion over color.